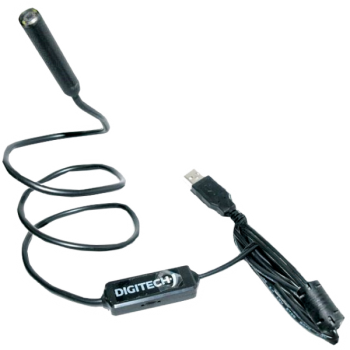 The Digitech-i Household Inspection Camera is an ergonomic handheld video endoscope system with robust and semi flexible insertion tube. It can easily be operated by plugging directly into your computer. Enhanced with 4 white LED lights (Adjustable) on the tip of the semi flexible tube and a 300K digital camera, it can capture high quality images and videos (AVI) with rich color throughout a large dynamic range.